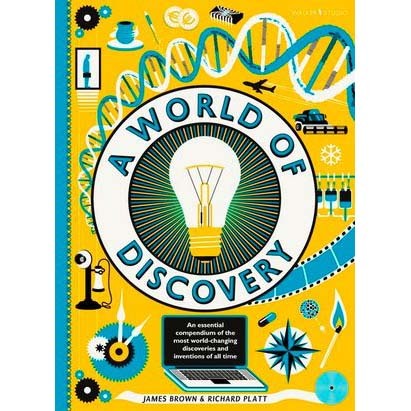 In the stylish miscellany, print-maker James Brown travels through the past and present, showing the amazing breakthroughs in science and technology that have changed our lives for ever. Discover fascinating facts and figures about space travel, the human body, time, the computer and much more with Brown’s bold, bright colours and beautiful contemporary designs. Each illustration is presented alongside an engaging fact-filled explanation by celebrated author Richard Platt. Covering more than 30 diverse and fascinating topics, this is the perfect book for the whole family to enjoy.